For Leo Wright, transcending the limitations of blues chord sequences seemed to come naturally. At times shoutin’ with Arnett Cobbian delight and almost as vigorous a master of the startling entrance as Dexter Gordon, Wright’s command of the alto saxophone on fast tunes such as State Trooper and Poopsie’s Minor as well as slower numbers that keep the customer attentive, is definitely on par. Wright assembled a high quality outfit consisting of Frankie Dunlop – at the time Thelonious Monk’s (already longtime) associate – Kenny Burrell and Gloria Coleman. (then wife of tenor saxophonist George Coleman, who in 1963 was with Miles Davis.) Miss Coleman’s seductive, understated play is in keeping with her Hammond B3’s crisp sound. 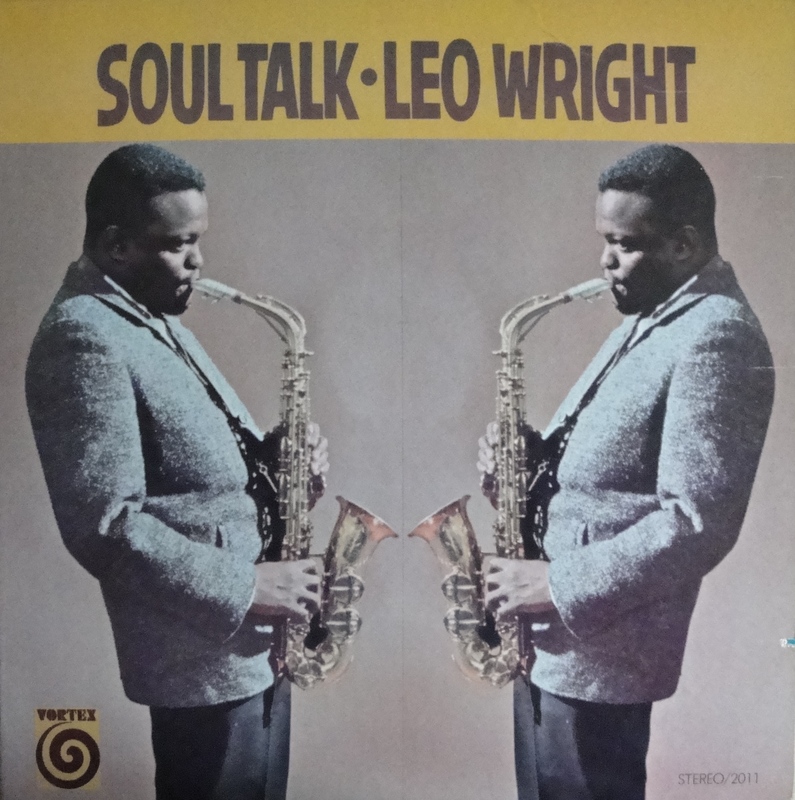 Leo Wright’s flute play on Soul Talk reminds us of the flute chair he held in Dizzy Gillespie’s top bands from 1959 to 1963, a stint Wright not surprisingly is best known for. Joe Goldberg’s liner notes conclude with the hope that Wright’s group would make another album. Unfortunately, they didn’t. At the end of 1963 Leo Wright migrated to Europe. 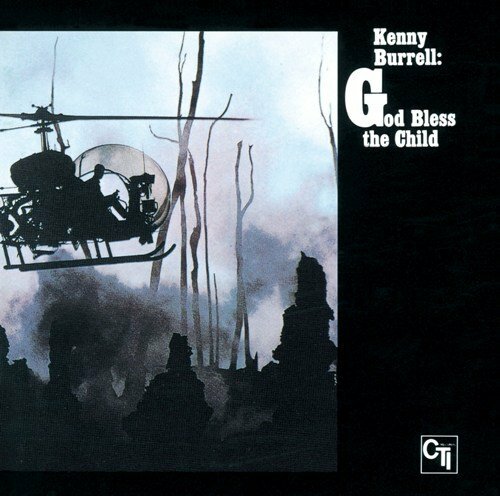 The work of organ-based groups in the late fifties and sixties, I feel, have somehow functioned as a counterbalance to a music that at times became too academic or pretentious. Its down home morals, its dance-ability and entertainment value reminded jazz of its origins, which jazz sometimes tended to forget at its own peril. 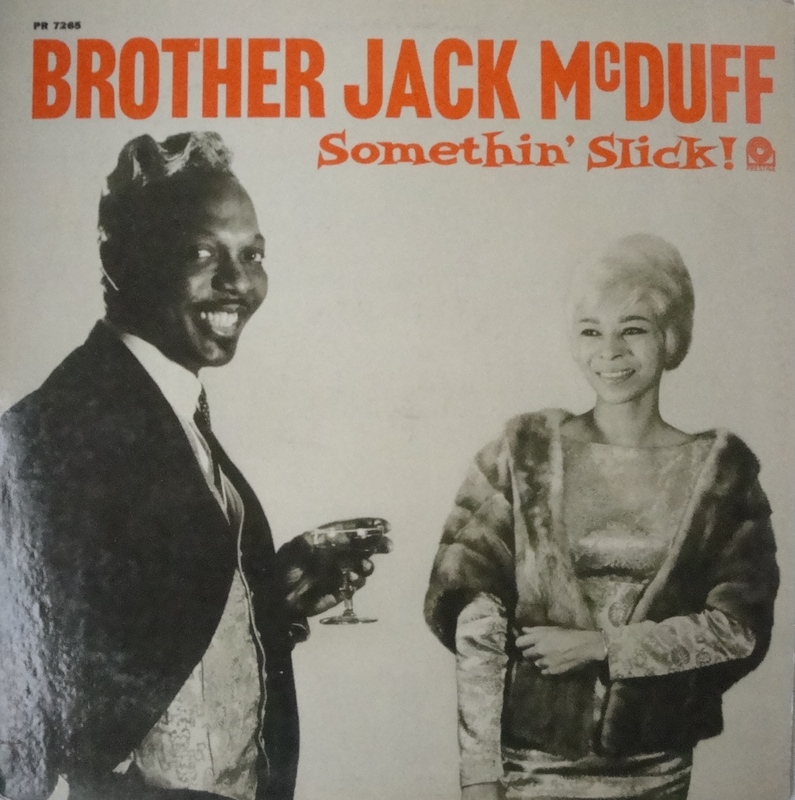 Given this scheme of happenings, Brother Jack McDuff was a key figure in keeping the flame burning. They didn’t nickname him ‘Brother’ for nothing. There is an element of church in his music that is hard to overlook. McDuff always swings and the quality of his recorded output is of a consistent, high level. Somethin’ Slick sits well amidst a string of early career records that brought McDuff to the fore as an organist that carefully builds intense solo’s that occasionally (the title track comes to mind!) border on uncut rock&roll. It is music that kept the joint jumpin’ and the feet-a-tappin’; carefree, yet sophisticated. A plus of this album is that certain themes are played in unison by tenor saxophonists Harold Vick and Eric Dixon. It has a nice ring to it.